We started in April 1987 as the Kitami Chapter of the Wild Bird Society of Japan, since our membership was made up of wild bird lovers living mainly in Kitami, Hokkaido. Since then, members from other areas also started to join and our activities took on a wider perspective. 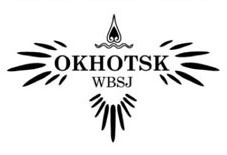 Then on the occasion of our 10th anniversary in April 1997, we changed our name and became the Okhotsk Chapter. At present, the Okhotsk Chapter is run by 10 staff members, all volunteers. We do not have an office that requires maintenance expenses or permanent staff members. All work that volunteers do to support our group is done at their homes. When the Kitami Chapter was first established, it had about 30 members, but by the late 1990s, it had grown to over 200. After that, the number declined for a while until the first half of 2006 when we went from a low of 187 to over 200 again. Now, as of February 2014, we have 241 members, including 53 family members, and we were even able to lower our annual membership dues from 2,000 to 1,500 yen from 2010. Every month we issue "Bird Call", our Chapter bulletin, available also in PDF. It includes information on birds, essays, reports of events, and much more. It's far from flashy, but we are pleased with the content. We've also never missed an issue. Members receive it without fail each month! About 24 times a year (many in May and June when bird life is most active) we hold bird walks around the Okhotsk region. Many of them are in the Abashiri/Kitami area, but we are gradually increasing them in the Mombetsu/Engaru area as well. We also hold study sessions for members on such topics as the eclipse plumage of gulls and ducks; identifying difficult birds such as shorebirds; digital photography; and bird walks based on ideas from community leaders or member requests. We assist with nationwide surveys conducted by the Ministry of the Environment or the Wild Bird Society of Japan and other survey activities aimed at preserving nature. We also conduct our own surveys and research on wild birds. We send instructors to events held by local governments and other organizations. We hold educational activities with schools and other groups involved with education. We operate a for-members-only photo bulletin board on our website (currently in Japanese only). Bottom line: We're extremely active and busy!